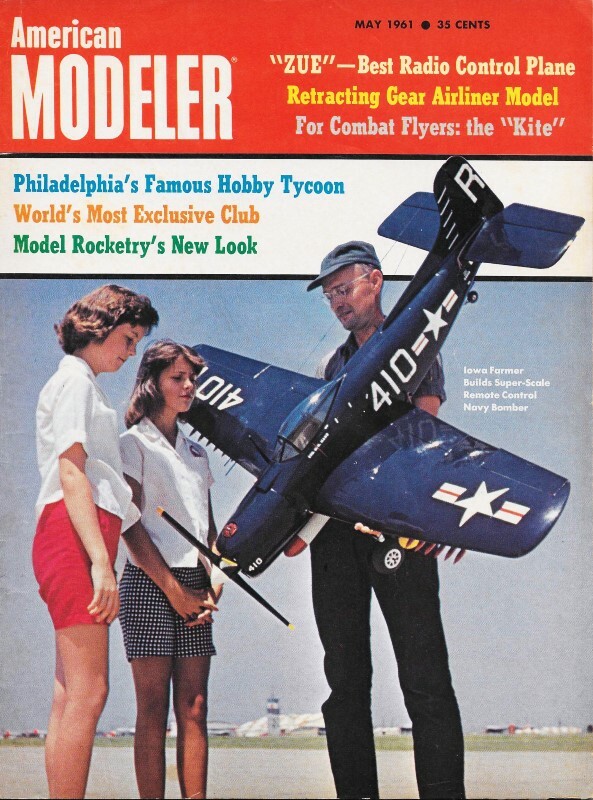 Douglas Rolfe produced for Air Trails and American Modeler many 2-page spreads of drawings depicting early model airplanes, automobiles, and boats. 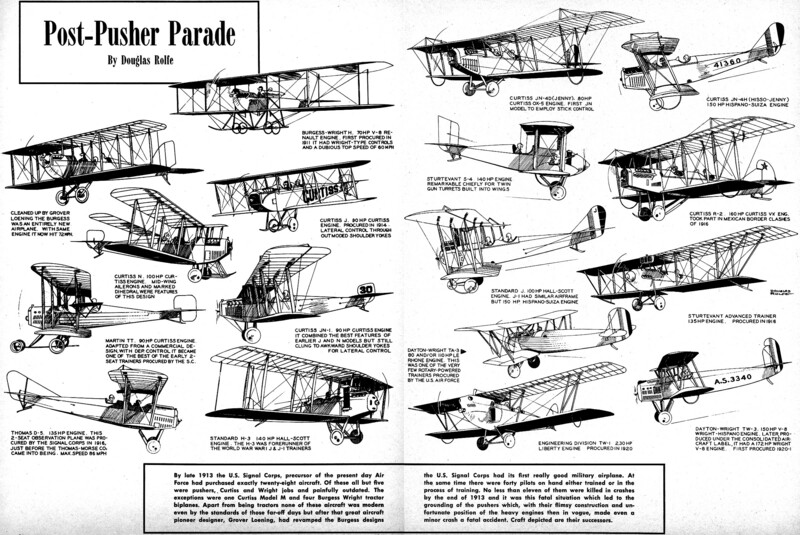 This month's "Post-Pusher Parade" includes aeroplanes that came onto the scene after the initial Wright-like biplanes that sported pusher propeller configurations. The Curtiss JN-1 and the famous JN-4 Jenny biplanes, the bullet-nose Sturtevant S4 with its gunner's 'sidecar,' and the triwing Martin TT trainer are amongst the 17 models shown. There is a list at the bottom of the page with Mr. Rolfe's sketches. By late 1913 the U.S. Signal Corps, precursor of the present day Air Force had purchased exactly twenty-eight aircraft. Of these all but five were pushers, Curtiss and Wright jobs and painfully outdated. The exceptions were one Curtiss Model M and four Burgess Wright tractor biplanes. 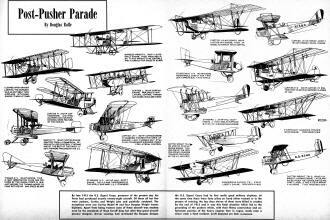 Apart from being tractors none of these aircraft was modern even by the standards of those far-off days but after that great aircraft pioneer designer, Grover Loening, had revamped the Burgess designs the U.S. Signal Corps had its first really good military airplane. At the same time there were forty pilots on hand either trained or in the process of training. No less than eleven of them were killed in crashes by the end of 1913 and it was this fatal situation which led to the grounding of the pushers which, with their flimsy construction and unfortunate position of the heavy engines then in vogue, made even a minor crash a fatal accident. Craft depicted are their successors.